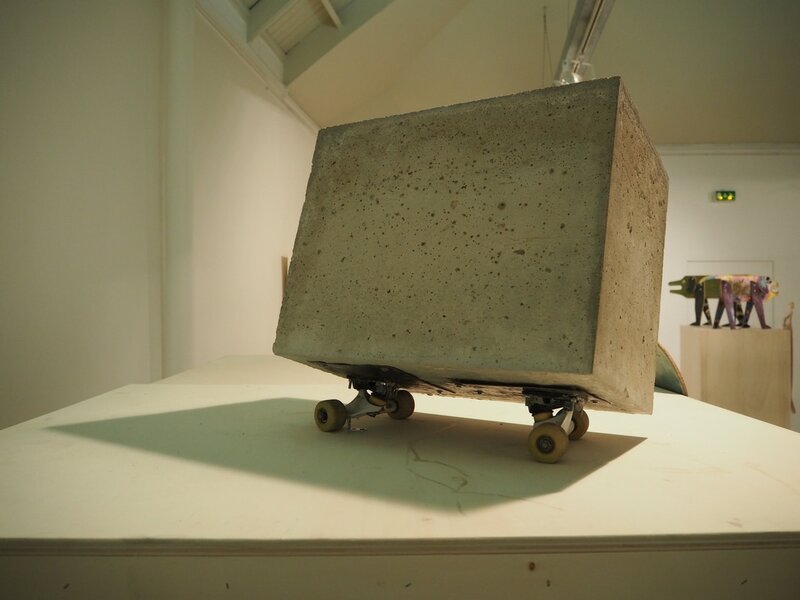 SKATE BLOC - CONCRETE BLOC is essentially a piece of concrete weighing about 150kg, attached to skateboard trucks. Here, the artist Remy Chateau wants to draw curiosity through a form that is foreign, yet familiar to its viewer. The materials used for SKATE BLOC – CONCRETE BLOC is an amalgamation of the artist’s interests – his love for architecture and passion for skateboarding. At the same time, the medium used in the work metaphorically suggests the natural combination of skateboarding and the urban elements that it engages. 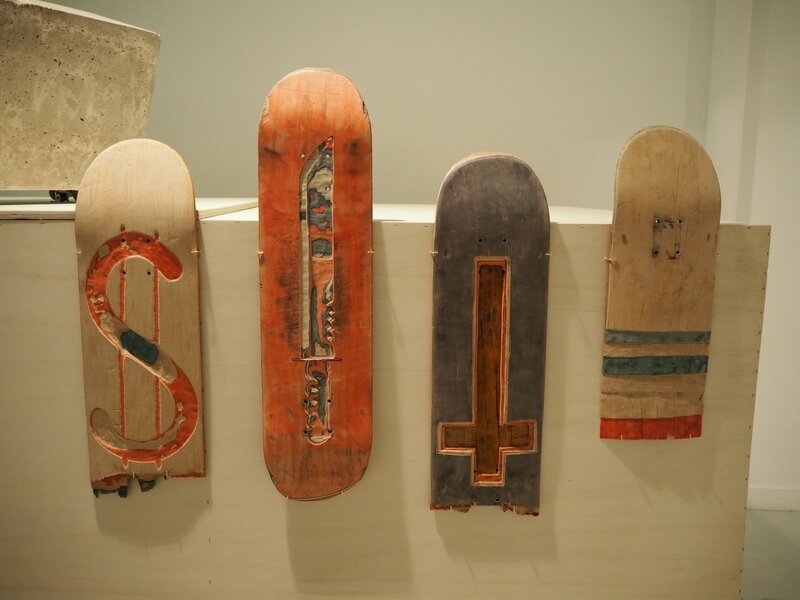 SKATE LIFE - ENGRAVED SKATEBOARDS, are skateboards that the artist had broken after several skating sessions. Chateau experimented with the pieces that remained, engraving different familiar symbols on the surface of the board with different tools, while exposing the beautiful, coloured layers of the broken skateboard deck. 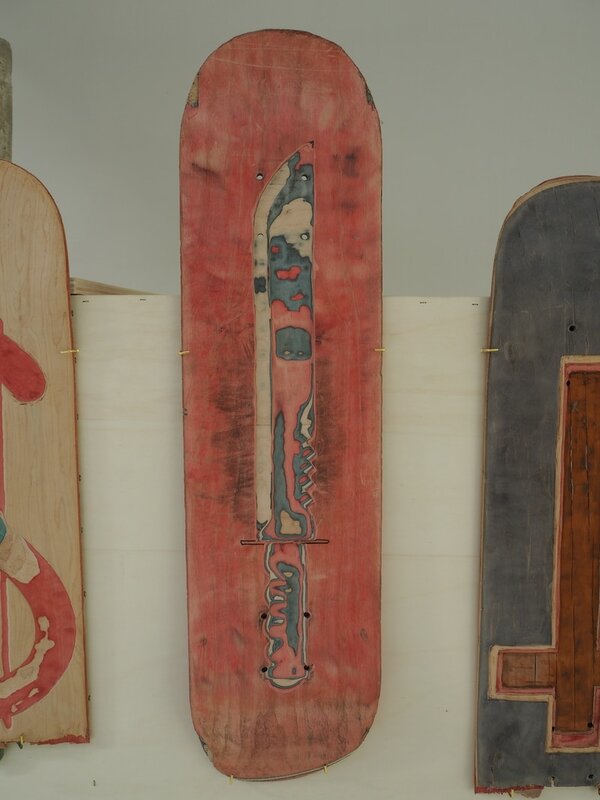 For the artist, the broken skateboard symbolises an advanced skateboarder, as he/she is aggressive and able to ride the skateboard ‘hard’. In his younger days, the artist often broke his skateboards while skating and was proud every time it happened. It made him seem like a professional skater as it was evident that he skated so aggressively that his skateboards would break. ​Rémy Chateau (b. 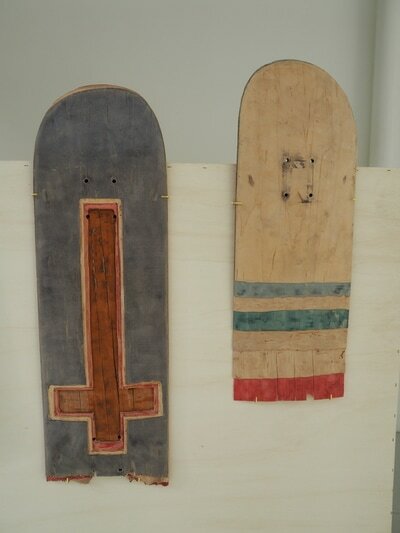 1990) started skateboarding at the age of 11. 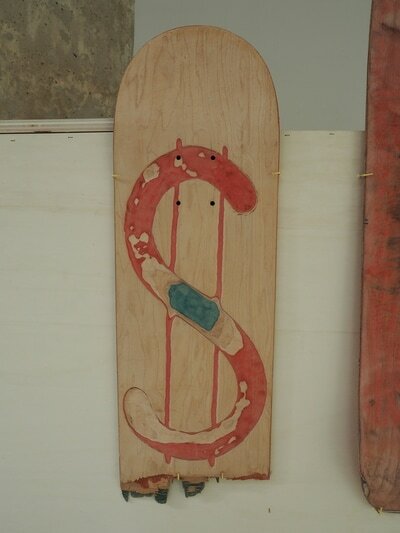 His love for the sport has influenced and connected him to art – inspired by the graffiti art often seen in skate parks and on the streets. 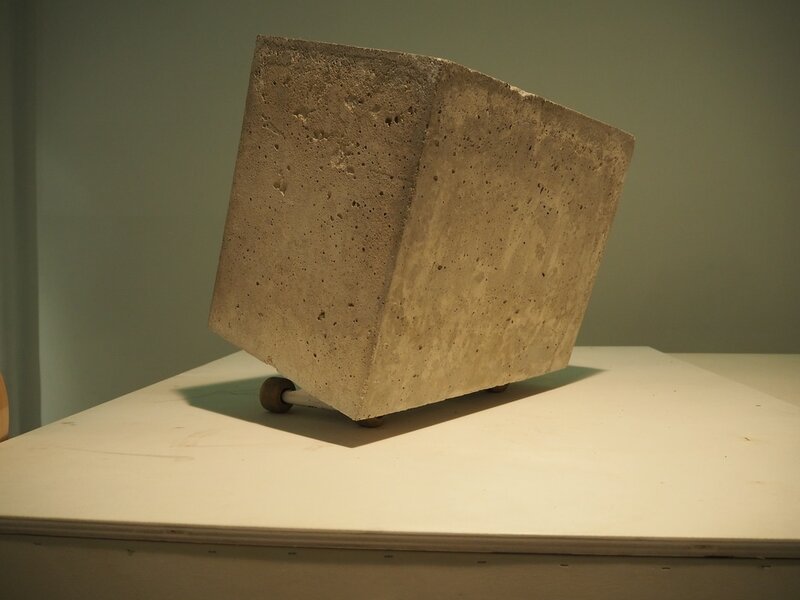 Rémy’s works are informed by his knowledge and background in architecture, as he uses mediums and materials tied to construction; weaving them with other elements of his interests. Rémy’s drawings, mostly in black and white, are often spontaneous and inspired by different elements, such as graffiti, architecture and even science fiction. 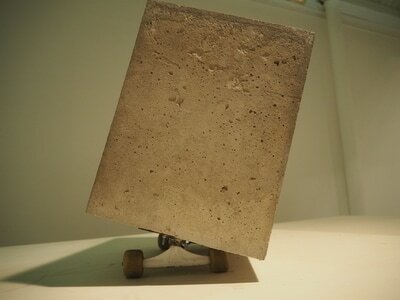 He uses concrete to sculpt, as he sees the material as a representation of the street, of buildings and of urban construction.